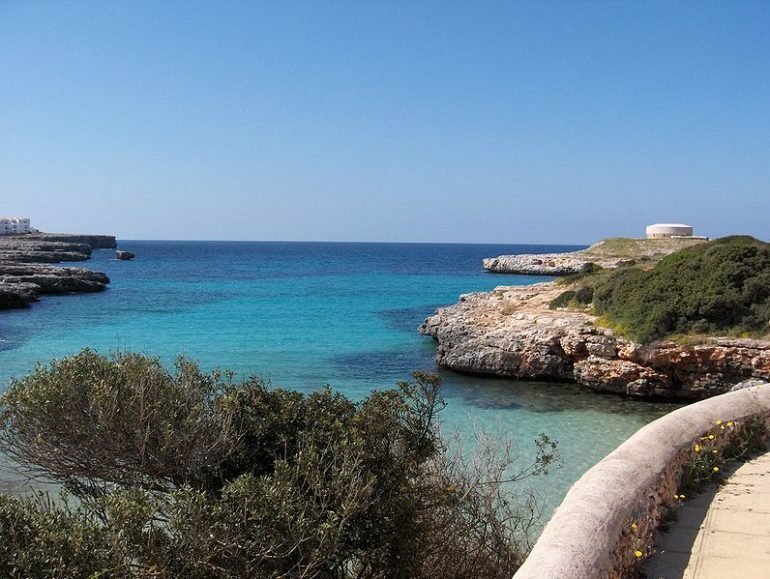 The Sa Caleta, Ciutadella, a car hire office is a few metres away from the Admiral Farragut Hotel. Ownerscars welcomes you to Menorca, offering you the cheapest car hire prices in Sa Caleta. Reserve your hire car in Sa Caleta whether you’re staying at the development itself or at Cala Santandria or Ciutadella (both near our office) and enjoy one of the most popular summer coastal resorts on the island. The sandy beach, 45 m long and 140 m wide, is usually busy and has very safe water. Perfect for the youngest members of the family. All our Sa Caleta hire cars include VAT, all-risk insurance with excess and unlimited kilometrage, also 24 hour emergency assistance cover. At Sa Caleta car hire we don’t charge extra for cancellation or changes.